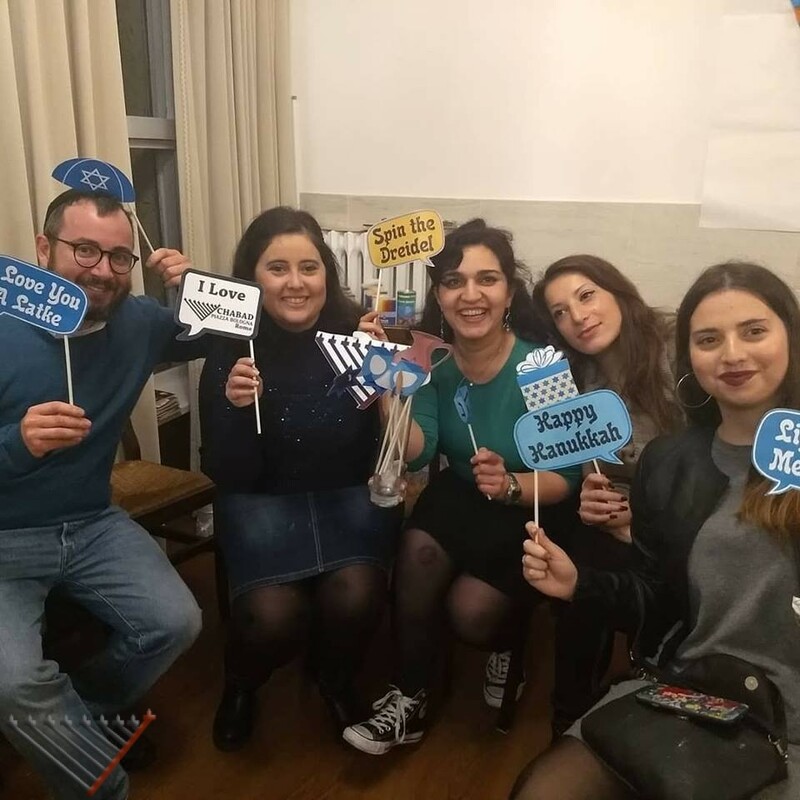 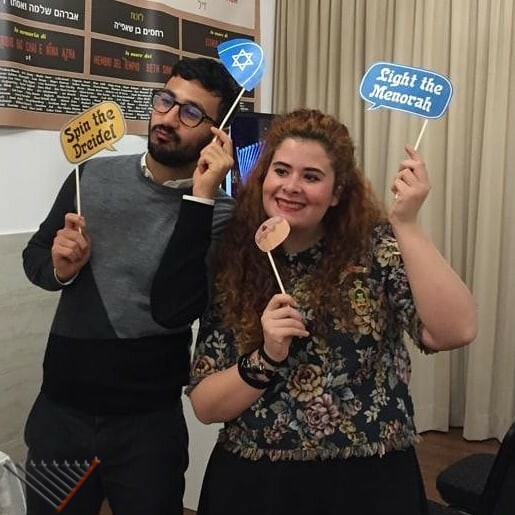 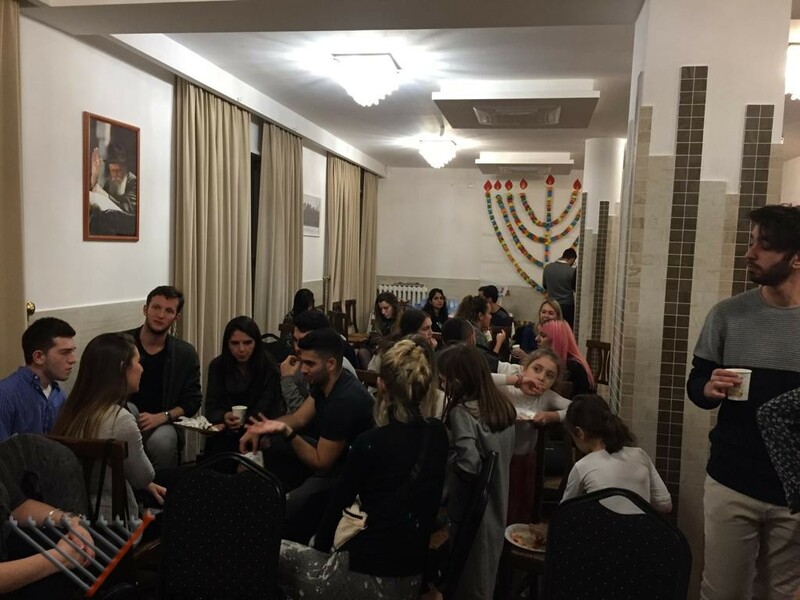 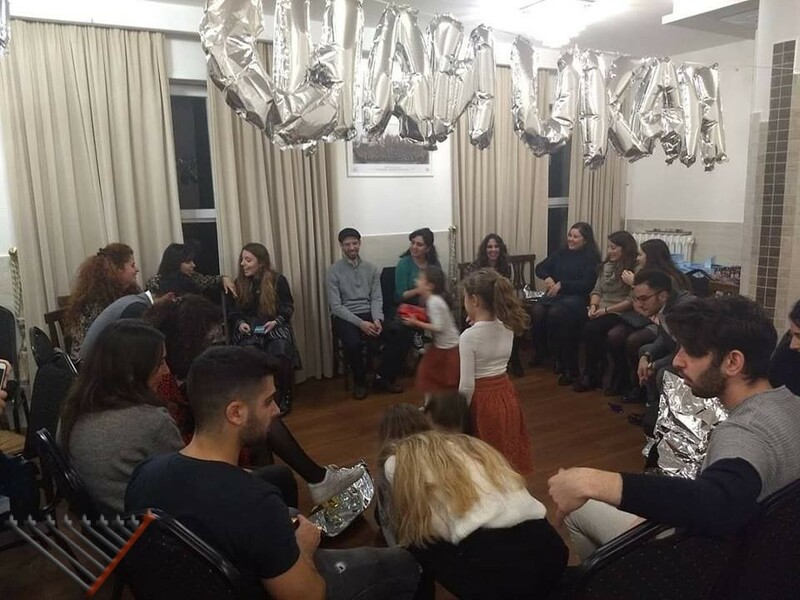 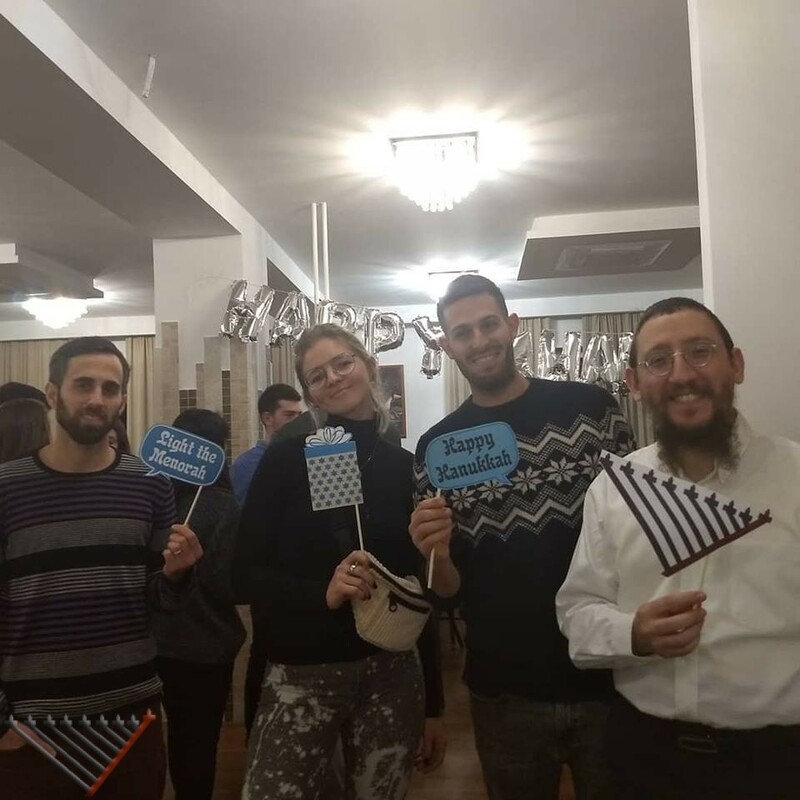 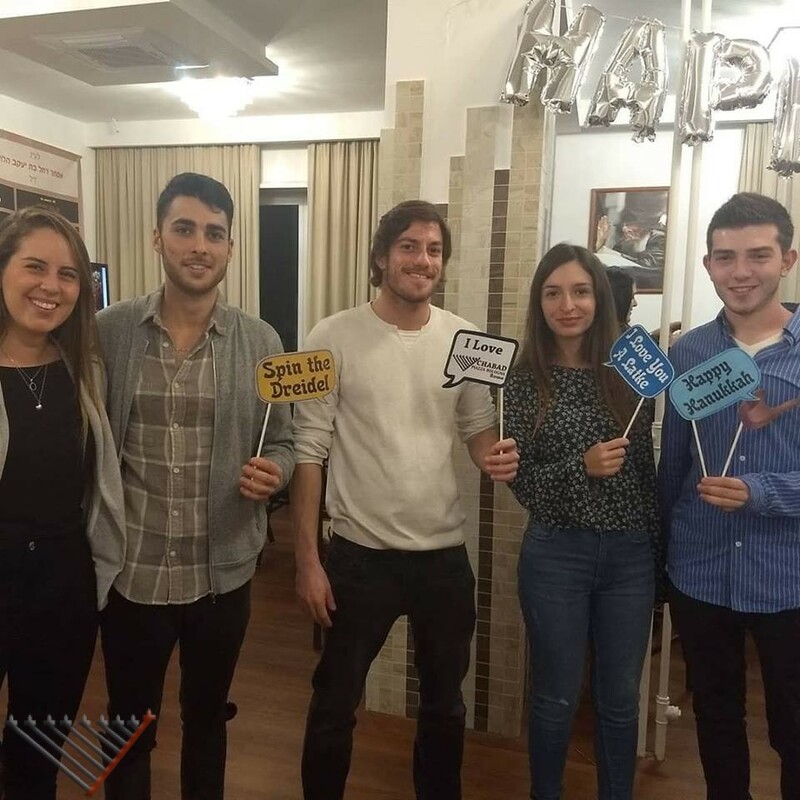 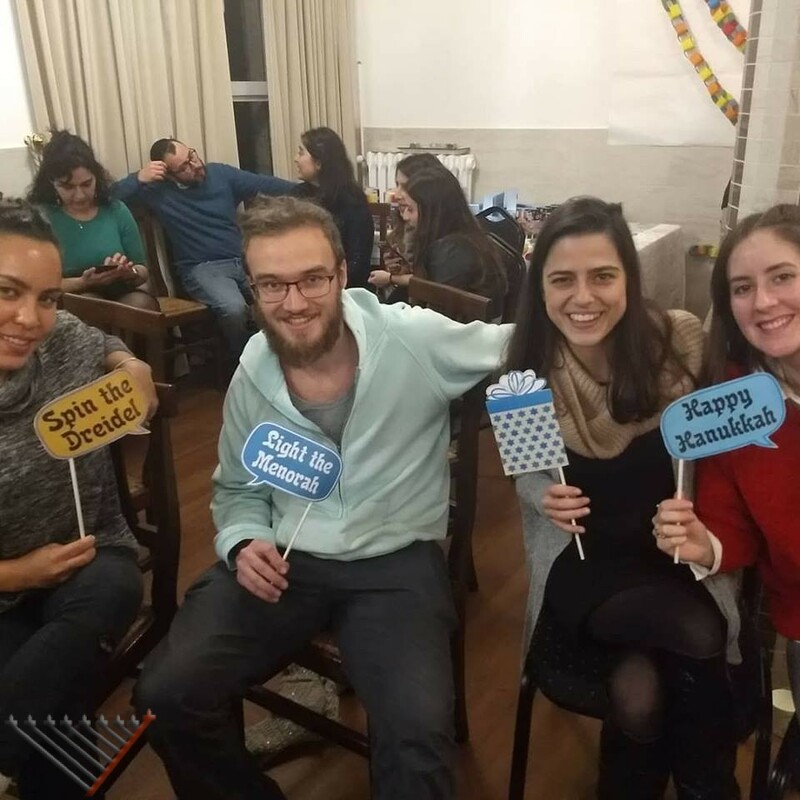 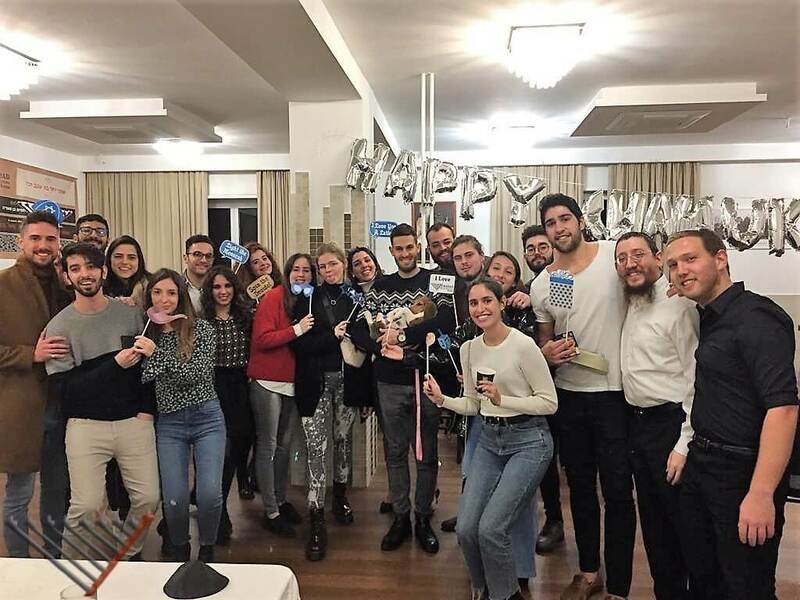 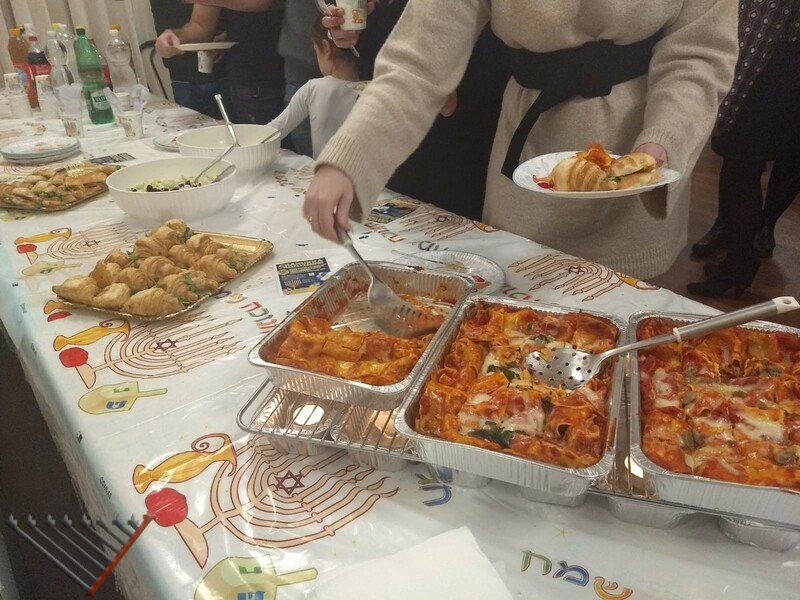 The Pre-Chanukah party was a big success with many foreign students in attendance but also locals. 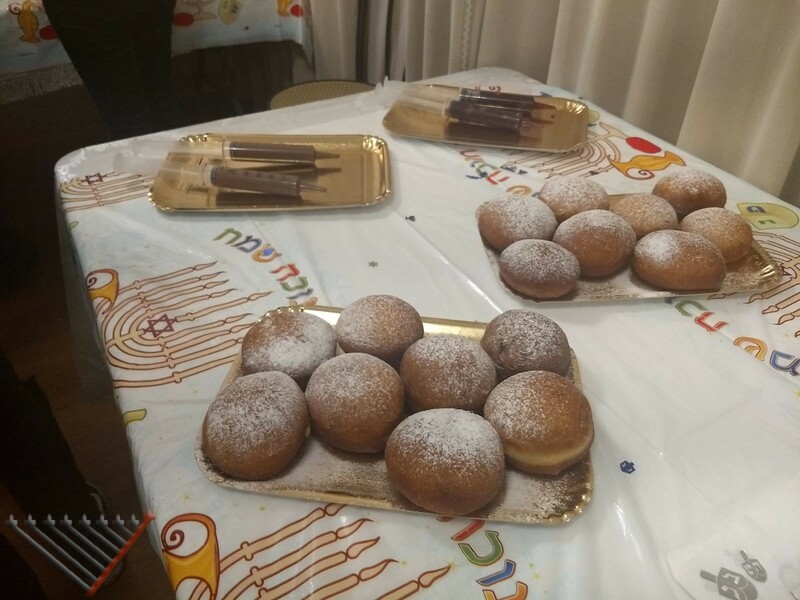 Rabbi Lazar opened the celebration with an explanation about Chanukah, followed by Havdallah. 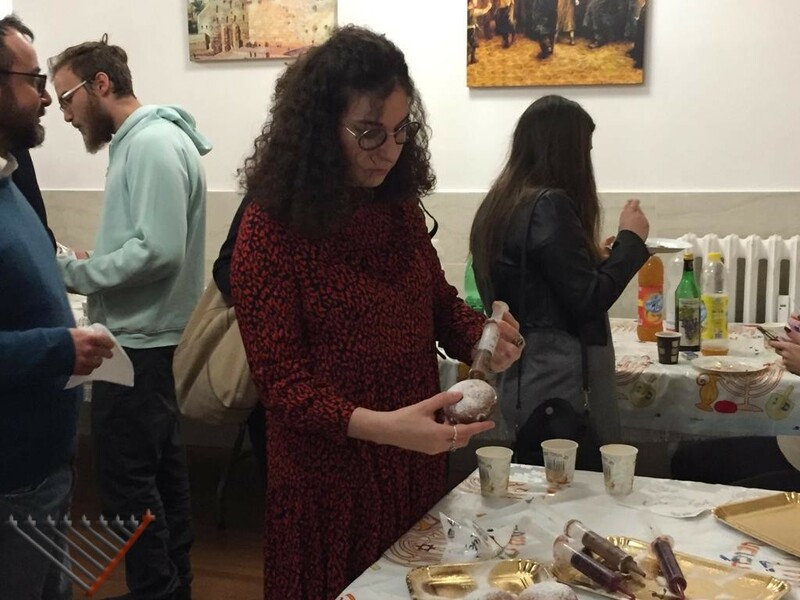 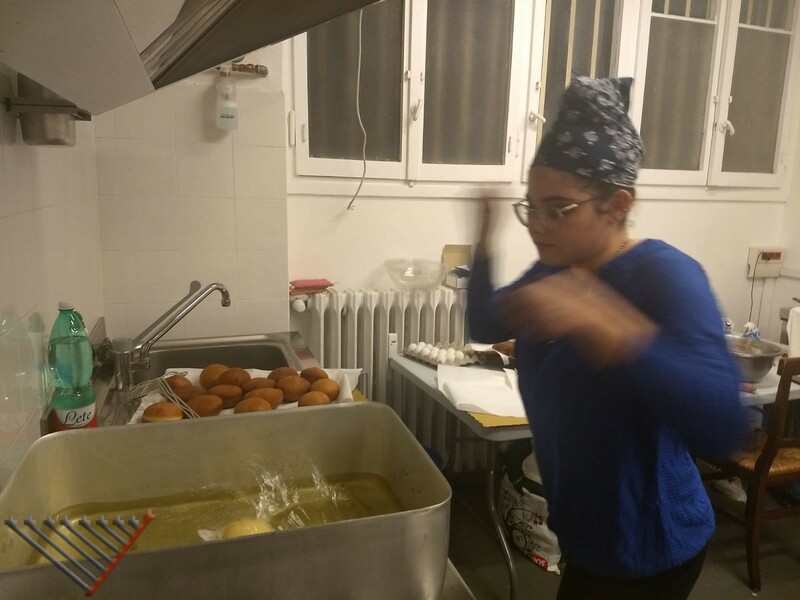 The students had a chance to taste some delicious delicacies like doughnuts with options to fill up with various fillings prepared in-house by Yuval Mordechai. 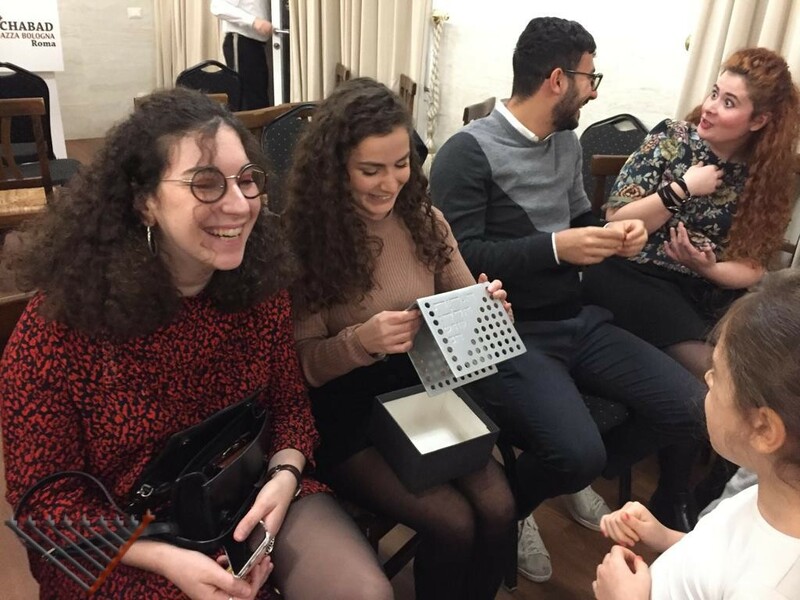 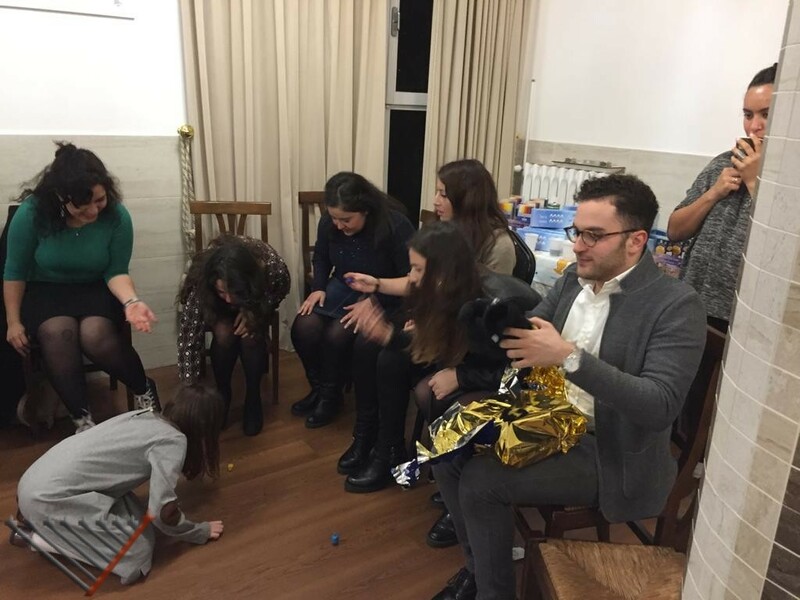 The students joined Mrs. Lazar in an interactive game on Chanukah and also a spin-off of the Dreidel game with a prize won by Ornella Polito. 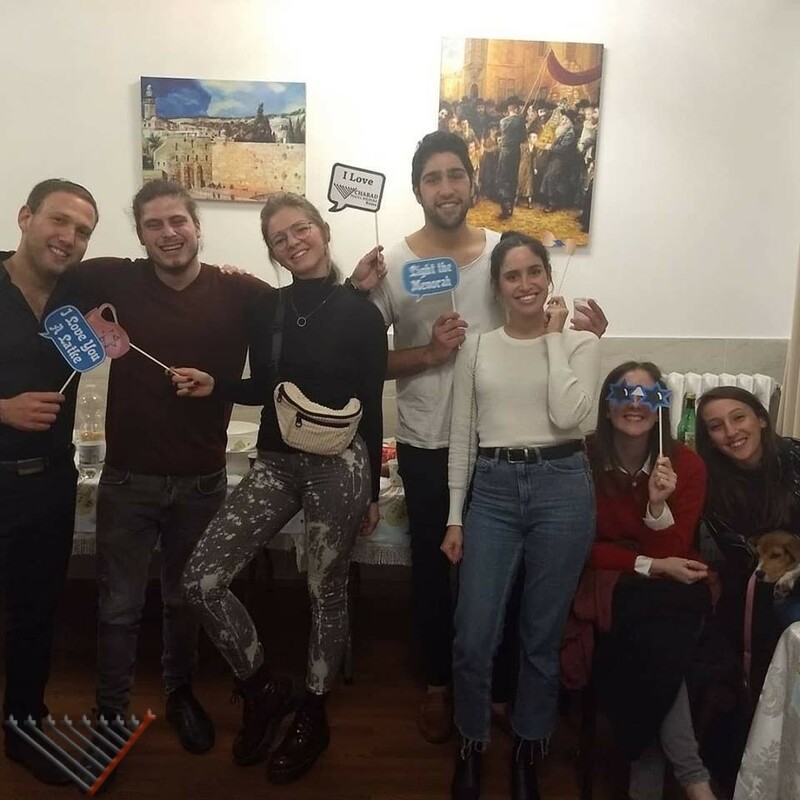 This entry was posted in News on December 10, 2018 by Menachem Lazar.